• "Among the people" the Deputy Minister explains, with pride and emotion, showing us photos with Syrian refugees or Yazid women who have fled from the hell of the Islamic State. In her office in the Ministry of Foreign Affairs, a poster of Nelson Mandela is proudly on display. "It was an electoral manifesto – says Del Re – I was young, and I followed that historic vote in South Africa as an international observer. And I 'conquered' that poster by climbing up a street light." Even now that she has become the number two of the Ministry based in the Farnesina building, when she speaks of Africa Emanuela Del Re balances feeling and reason, when she argues that "Africa is an opportunity, not a threat". When people talk or write about Africa, their dominant feelings seem to be those of fear, insecurity, the "we must defend ourselves” syndrome. 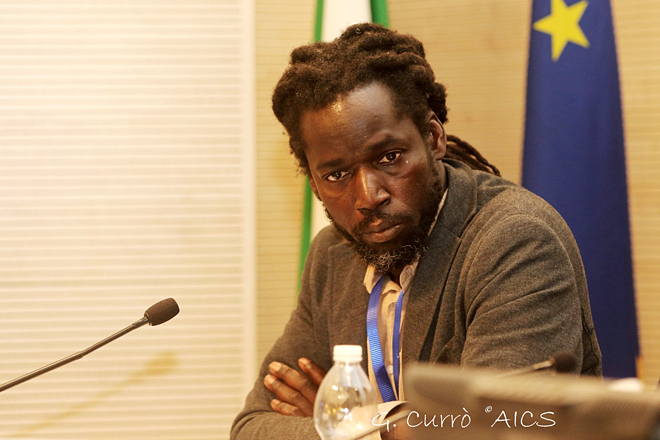 As a scholar as well as Deputy Minister, tell me: is Africa really only this, for us as Italians, for us as Europeans? As a scholar and as someone who has now assumed responsibility for a sector – that of international cooperation – which I consider vital for the development of both our country and the beneficiary countries, I’ll answer by reinterpreting the vision expressed by that syndrome. Africa is a continent full of resources. And this is true from so from many viewpoints, not only because it is a strategic partner on all fronts, including those of security, naturally. We must remember the negative aspects and never underestimate them... illicit trafficking, terrorism, but also climatic conditions that often trigger major crises. But Africa is not only this. It is also and above all something else. It is a continent brimming with numerous important opportunities. 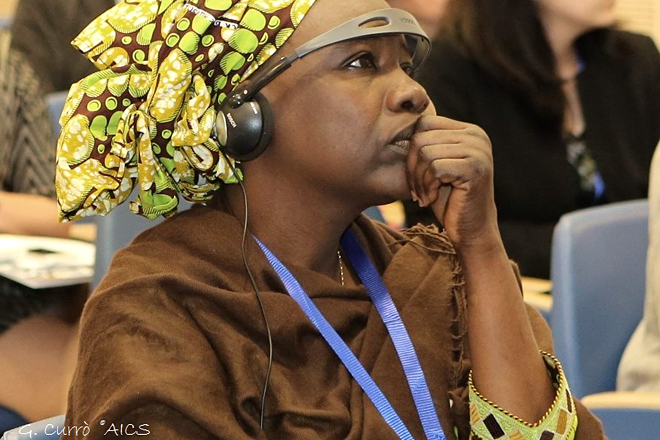 Because Africa is a young continent, a continent of immense innovation and creativity. It is a continent where human resources constitute a massive asset, above all because in terms of its interests and values, Africa is orientated towards Europe. At this moment, undoubtedly, the prevalent aspect for us is immigration, which we know is always deeply painful. But in perspective – if we have the ability and the determination to create real, stable and lasting development goals, on the ground, in the countries of Origin – Africa can become a continent of vast changes and new economic, social and political opportunities. Can I take you up on this last important and ambitious affirmation? Especially after months when so much has been said, written and argued about the phrase "Let's help them at home". From your point of view, what does "help them at home” mean? In the field of cooperation, we are a giant. We are the fourth country in the G7 in terms of percentage between Official Development Assistance and Gross National Income (0.30%, achieved this year, some years earlier than expected). Helping them at home means creating a two-way donor-beneficiary relationship instead of a one-way project. And that both both the donor – in this case Italy – and the beneficiary countries (not necessarily only African nations) can both benefit from this relationship. In other words, a project that truly corresponds to the needs of the beneficiary country and at the same time offers the donor country the possibility of developing an important, privileged relationship, of shared values, of collaborative growth that over time generates long-term structural solutions. Until now, I would say that the concept of 'helping them at home' has been a bit tangled up with a vision of the past, i.e. that the donor operates in the beneficiary country with a vaguely charitable conception of aid. This idea must and can change, especially since our current beneficiaries – I’d like to emphasise this – possess extraordinary abilities. These are countries that can offer enormous resources, to the point where the very concept of a donor-recipient relationship becomes obsolete. And is there no risk – as often feared by volunteers, NGOs or international agencies operating in the field – that we end up financing dictatorial regimes which have all kinds of goals in mind except that of benefitting their peoples? In even more direct and rather brutal terms: in Africa, does Italy look for partners in growth (and not only economic but also civil, political and democratic growth), or Gendarmes that police – no matter how – their external borders? Libya is a very difficult country at the moment: a reality that has to be confronted from various perspectives. 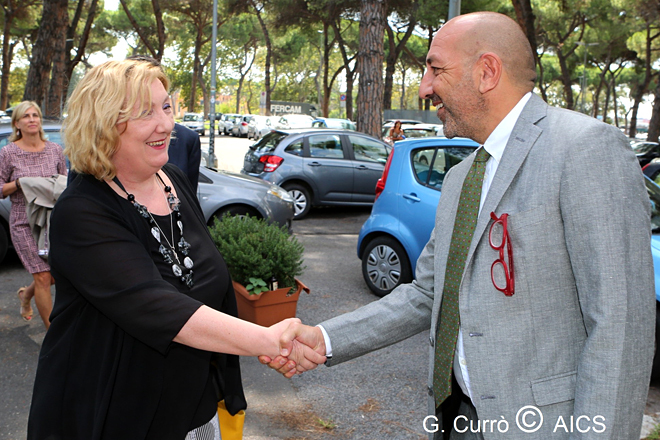 One of them, which is particularly dear to me and in which I deeply believe, is the result of the agreement signed last Friday in Brussels between the European Union and the Italian Agency for Development Cooperation. This is an agreement that involves Italy as a protagonist: the EU has allocated 50 million euros, of which 28 went to the management of the UNDP but 22 were delegated by the European Union to Italy. Italy is extremely proud of this, because with these 22 millions we can help 24 municipalities in Libya not only to rebuild their infrastructure, roads and bridges, but also the very fabric of society, because we can contribute to the reconstruction of local administrations and ensure that these urban civil societies are functional. From this point of view, I believe that this is one of the best possible opportunities for Italy to take part in the reconstruction of Libya, at a time when it is one of those countries that could tempt us to think about the need for a ‘gendarme'. But our response is quite different: we accompany, we take Libyan society by the hand and we try to bring it with us towards the future. Looking at Libya and more generally at Africa, do you think that "business diplomacy" and human rights diplomacy can not only be reconciled, but also find a virtuous synthesis? We are in a historical moment of great intellectual ferment and, I would add, unprecedented instant information on humanity’s problems, on all fronts and at all latitudes. This makes us believe that it’s true that the business world in the past often appeared to us as arid or as impeded by major obstacles, for example in the field of security. But it’s also true that we have a large number of companies that operate well even in difficult areas, such as Ethiopia, where we have a strong entrepreneurial presence. Add to this the fact that the business world is now more aware of its impact on local societies, so I believe that it can act as a fundamental channel for transmitting values. Including Italian values such as honest, respectful, ethically acceptable working conditions. Such conditions therefore become a reference for long-term sustainable development based on respect for human rights. In this scenario, even entrepreneurs and the business world becomes – when they are honest – a reference point for public values. The more we combine various fronts – such as that of politics, that of social development, of NGOs (which are fundamental) and therefore of civil society, plus of course the world of entrepreneurship – the more we will achieve important results, concrete results. You have an important responsibility: that of the head of International Cooperation. How do you respond to people in the world of politics who claim that spending public money in this field is "a luxury that Italy cannot afford"? I reply that the globalised world does not isolate us. Never. We are no longer islands, but we are extremely well-connected archipelagos. This means that whatever happens in this small part of the world where we live has enormous repercussions elsewhere, and vice versa. It also shows that cooperation – as implied by the term itself – is a way of working together for something. That something is part of our future, and consequently we must have a total and convinced awareness of how important it is to invest in third-world countries as well as our own, because the reflection of this investment on our world is absolutely positive... not in the sense of division, barriers or breaking up the globalised world, but in the sense of a convinced unity. Young people, in whom I think we should invest a lot, are now globalised, without borders. If a globalised young person has had a profitable interaction – for example through cooperation – with countries that have already travelled the road of establishing regulations, constitutions, laws that have encouraged the affirmation of the individual (especially the weak individual) with all their rights, what happens? Wherever they come from, the globalised youth becomes a flag-bearer, an ambassador of progress and stability in the world, a social agent generating social remittances. This is also a commitment that must feature the whole of Europe as a protagonist, to revive its founding values, which are those of inclusion, respect for human rights and openness towards one another. We must spread the awareness of having an extraordinary opportunity to share problems and to face them together... not least for the good of our neighbours. It is important to continue to look to the East, but certainly the priority right now is to help a continent of such huge resources as Africa to grow and continue growing. A continent bonded deeply with the Mediterranean, and which for better or for worse shares its history with the major European countries. A continent which looks favourably on European values, in which it increasingly tends to recognise itself. This is an opportunity that we simply cannot afford to lose. Africa is also hope. On a political level, what is the most important hope at the moment? The one I mentioned before: the agreement between Ethiopia and Eritrea. It’s the most wonderful news of the year... it fills us with joy. It’s also an extraordinary signal, transmitted especially by the young Ethiopian premier, Ably Ahmed Ali: the youngest African prime minister, a person who has had the intelligence – transcending ideologies or border problems – to believe in the propulsive element that grows from making peace. His enormous courage must be recognised and supported, as must Eritrea’s belief in the possibility of the peace process. A peace to which Europe and our country can contribute: in the 2017-2018 two-year period, Italy donated over 81 million euros for development and humanitarian projects in Ethiopia, Somalia and Eritrea, and its aid contributions to Eritrea amount to 47 million euros. These sums could grow, according to developments in the progress of the regional stabilisation process. An investment in the future. A future of peace and cooperation, featuring the young globalised generation as protagonists. 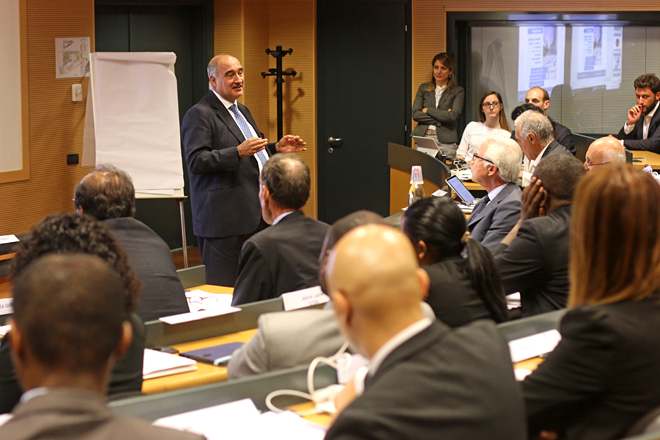 Milan - Africa, innovation and leaders: three concepts that play an extremely important role in development processes, here grouped together – to highlight the significance of a close and virtuous relation – in the title of an experimental project in advanced training conceived by the Agency in the framework of Italy’s G7 presidency. 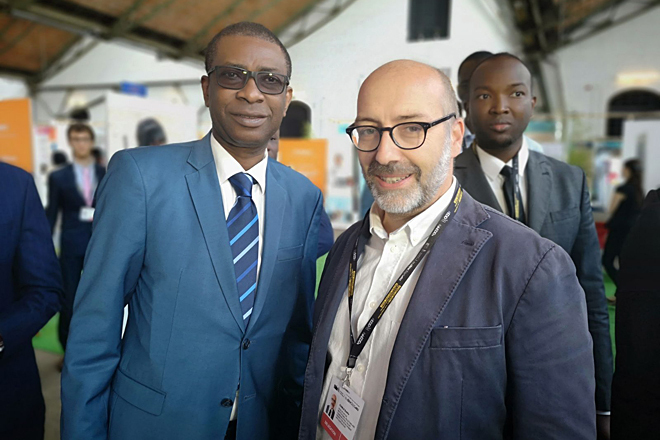 Called "Emerging African Innovation Leaders", this initiative was developed together with the Polytechnic of Milan and the Polytechnic of Turin, two outstanding Italian players in the field of higher education. 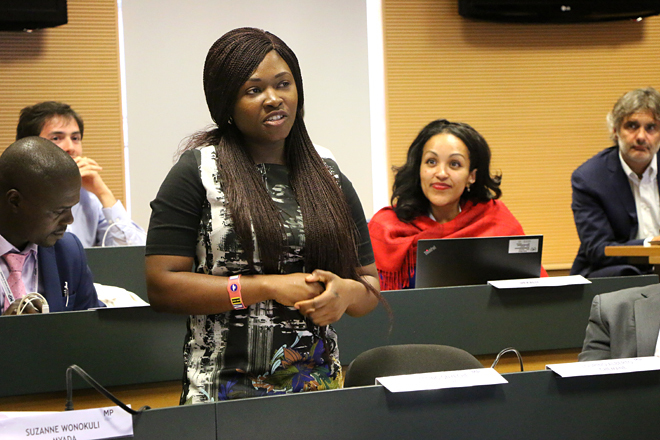 The key objective of the project is to offer an intensive, high level training experience to a group of young professionals and public officials from Kenya, Ethiopia, Mozambique, Tunisia, Niger and Nigeria, with a particular focus on state-of-the-art technologies which may contribute to proceed on various fronts towards the Sustainable Development Goals. On 25 September 2018 the twenty participants selected for a five-week residential course arrived in Italy, for what will be the beginning of a wider training programme which will generate knowledge transfer processes in the participants’ countries of origin. 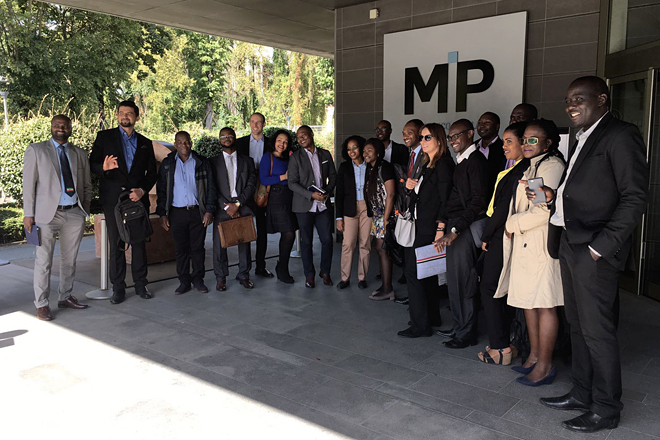 The opening ceremony of the course took place at the Polytechnic of Milan: this was intended as a presentation of the project, but also as a moment of reflection on the importance of innovation in Africa and on human resources as development drivers. 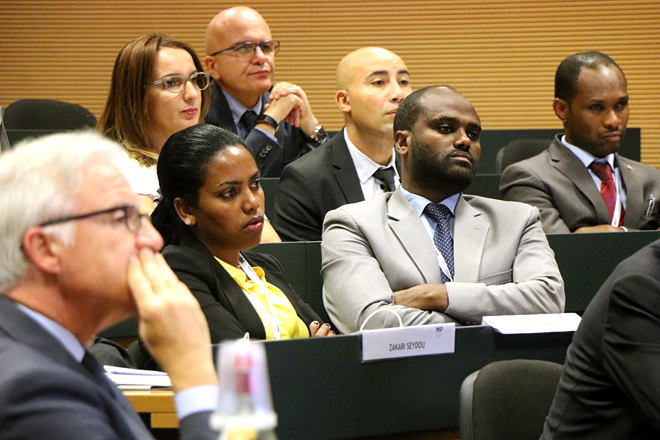 Together with the instructors and AICS representatives involved, the Italian ambassador to Ethiopia Giuseppe Mistretta, the senior UNIDO advisor Stefano Bologna, and the senior advisor to the Ministry for Economic Development Andrea Gumina took part in this event. The course programme is focused on developing expertise and abilities which, at individual and collective levels, will contribute to opening a road to the so-called New Production Revolution. This is a key concept intended to indicate a conjuction and a shared space among several advanced productive technologies – including digital processes such as 3D printing and big data analysis, but also new bio or nano materials, plus artificial intelligence and advanced robotics. Technologies like these are already changing - and will increasingly change - the dynamics of industrial production in many sectors, and consequently will require a new generation of managers who are able to exploit them to the fullest. Another aspect that should be highlighted is the overall structure of the course, which includes a set of five weeks of training in Italy, then a series of online courses on the Cradle platform, then another two weeks in Italy – where the participants will have the opportunity to connect with various high level entrepreneurial realities – and, finally, the phase of restitution, where the participants will be called upon to train colleagues in their home countries. In this phase, a number of project proposals will be elaborated, so as to make use of the expertise acquired by the participants on the ground of their local contexts. 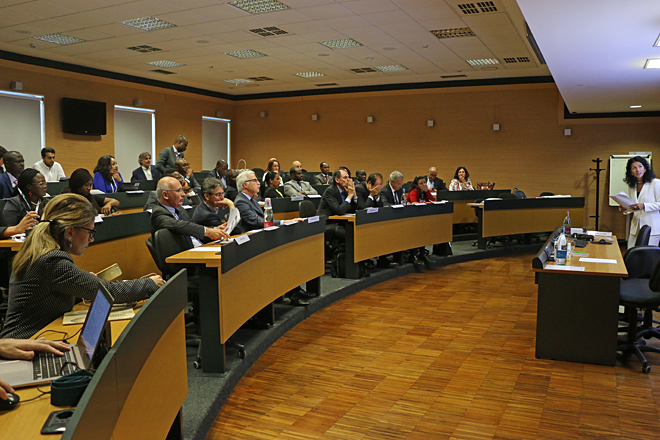 The structure planned by the Polytechnics of Milan and Turin, along with the network of skills and knowledge that has been activated around this initiative, represent high-level resources which can contribute to the development of a range of technology-based best practices. The Atlantic coast of Honduras has the perfect climate for growing cacao, though 80% of the estimated 4000 cacao producers grow on less than one hectare. Only 10% of the 1500 tonnes annual production is currently exported as high-quality cocoa, and only 5% of the income made during the whole value chain goes to the farmer. The problem is the reluctance of producers to acknowledge the benefits of increasing quality and to take the necessary steps. The solution? 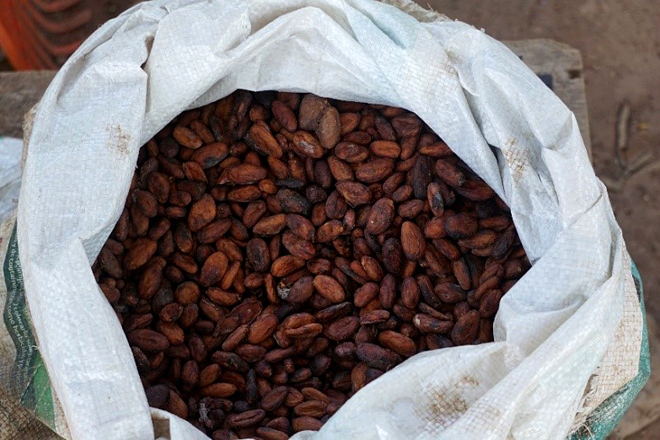 To build capacities of producers, processors and traders, and support the production and marketing of high quality cacao. CDAIS - a global partnership on capacity development for agricultural innovation systems, supported by the Italian cooperation - chose to accompany the cocoa niche on the Costa Atlántida as this is where this crop is most exploited. The idea was to create a space for reflection where independent producers and associations find support from other actors that have a relationship with what they do. Many producers suffer from poor farm and post-harvest management. But since the partnership began, they were able to expose these weaknesses and others responded. 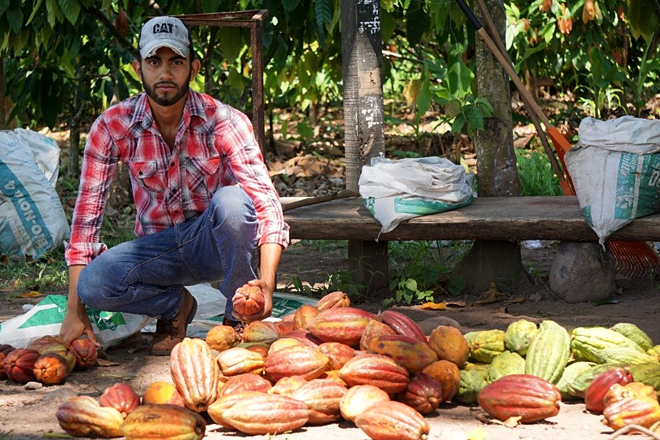 For example, staff from the Regional University Center of the Atlantic Coast (CURLA) from the National Autonomous University of Honduras (UNAH) became interested in designing training, open university classrooms for producers, and even created a specialized curriculum as an intensive cocoa diploma that is now offered to producers nationally and internationally. In this way, those in the cocoa partnership seek to accompany each other to find solutions or alternatives to problems related to market access, product quality, post-harvest handling, storage infrastructure, product image, processing, financing, availability of technologies, and others. Producers dream of becoming influential players in export markets and to present a first-class product. For this, they have determined that organization opens opportunities for them to go forward. By improving their productivity of fine cocoa, they know that they will increase their profits. This will generate chances to improve production and their overall life quality. 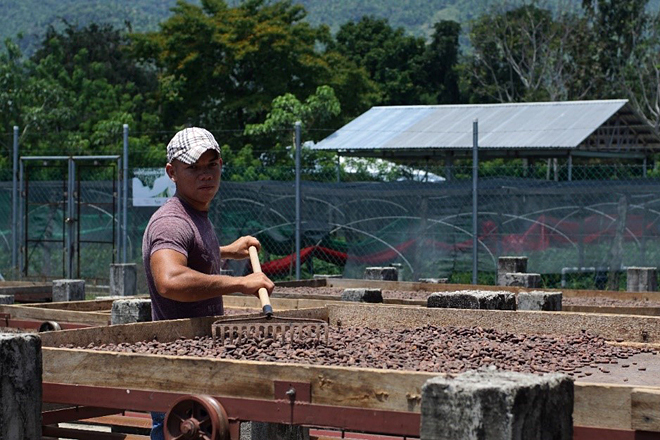 The process is also serving as an example for producers in other cocoa-producing areas like Olancho, Gracias a Dios and El Paraíso. The partnership proposes building capacities in marketing strategies, cost of production analysis, administration and accounting, value addition, organizational legality, equipment and infrastructure such as collection and processing microcenters, undertaking a cocao census, and certification of timber lots. 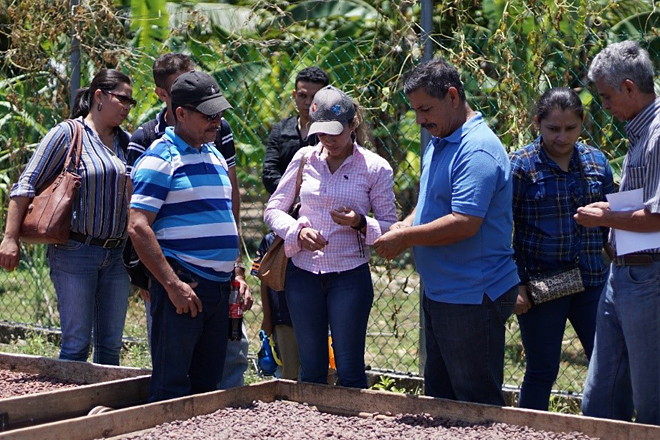 “CDAIS is strengthening the coordination between actors in the cocoa chain” explains Liliana Fernandez, a technician of the Directorate of Agricultural Science and Technology (DICTA). “It brings many benefits for all, including access to new information through training, sharing experiences between producers, understanding legal frameworks, and it helps to develop capacities in many other ways”. José Ruiz, a support facilitator of the cocoa niche from CURLA, emphasizes the new-found motivation amongst producers since CDAIS started. 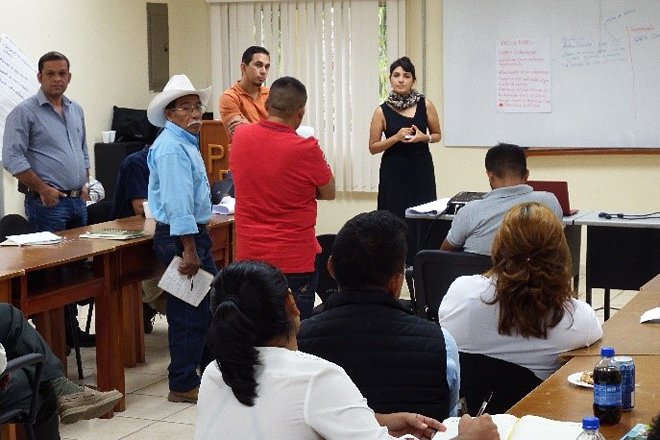 “Producer organizations always come to each meeting they are invited to, talking about their experiences as farmers and cooperatives, and the importance of working together to improve their plantations, product quality and sales. And the new links with the university is a new experience for producers, because no organization showed any interest in their development until now. The associations understand that they don’t receive funding or material things but are very happy to have new knowledge in processes for strengthening their organizations, improving governance, and plantation management. “CDAIS offers us so many things! It brought us an IFAD workshop on increasing the profitability of our cocoa cultivation where I learnt such a lot. It also opened doors with the university [CURLA], and their new diploma is great, being adapted to our time availability. Now I produce better cacao, know how to prune my trees, and use local waste for organic fertilizers” says Oscar Cerna, member of the Pico Bonito association. “CDAIS enriches our mind. In the mountain we collect four ingredients, for producing organic compost, but the ‘secret’ fifth ingredient is the one that CDAIS helps us to strengthen” Oscar Cerna, cacao farmer and member of the producer association of Pico Bonito, San Francisco, Atlántida. Prepared by: Miriam Villeda, communications officer of the Department of Agricultural Science and Technology (Dirección de Ciencia y Tecnología Agropecuaria (DICTA), in partnership with CDAIS Honduras; Erick Ordoñez, national innovation facilitator for the cacao partnership. Oltremare – Is a blue peace possible? • Can the Renaissance bring destruction? If it’s the name of a dam, it could do. Under construction since 2011, the Grand Ethiopian Renaissance Dam is considered the biggest dam ever built in Africa up to now. Project and financing are Ethiopian, implemented with Italian know-how... a giant costing 4.2 billion dollars producing 6.5 GW of power, harnessing the Nile to bring energy to millions of Ethiopians, above all in the capital, Addis Ababa. The project is welcomed by neighbouring Sudan, as the regulation of water flow will facilitate irrigation for agricultural projects in the Nile’s Sudanese section. “It will provide great support for Sudan’s agriculture", explains Osama Daoud Abdellatif, owner of Dal Group, a large agricultural company based in Khartoum. But for Egypt the situation is critical. "No one can change our country’s water quota," declared Egyptian President Abdel Fattah el-Sisi recently. “We support the development plans of our friends and brothers in Ethiopia, but we have to protect our national security, and water is a matter of national security. Full stop.” No space for discussion. A few weeks later, Egypt’s generals promptly presented their military plans should their country’s water management demands not be respected, as it initiated major diplomatic pressure on the states upstream. At the end of January, Sudan recalled its ambassadors from Egypt and warned Cairo to withdraw its threat of deploying troops on the eastern border of the country. In March, the tension was reduced a little, after a meeting of the three presidents of Ethiopia, Egypt and Sudan in Khartoum, with a ague declaration of intentions regarding the search for a peaceful solution. Egypt is in a delicate situation. 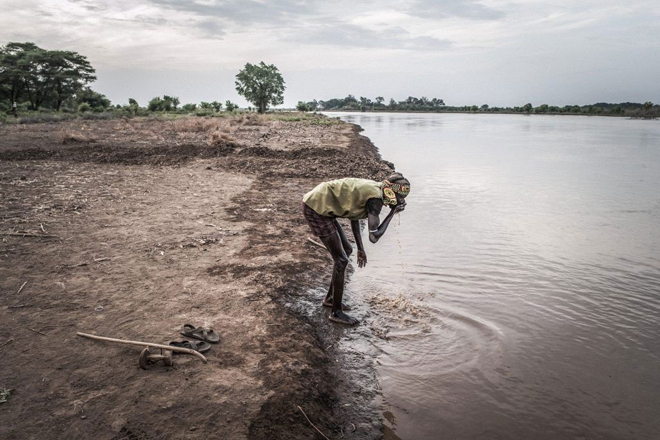 «The country’s water supply was fragile long before the building of the Renaissance Dam», explains Michele Dunne, director of Middle Eastern research of the Carnegie Endowment for International Peace. 85 percent of the water for Egypt’s agriculture comes from the Nile. An analysis of future climate scenarios reveals that even without the Renaissance Dam, Egypt’s water security could worsen substantially by 2025. So we can understand the Al-Sisi government’s concern about the uncertainty caused by the dam and the potential strategic and political weight it can assume in the event of an international escalation. Mohamed Abdel Aty, Egyptian minister for natural resources, fears that "a minimum reduction in the Nile's waters, even by just 2 percent, would mean our agriculture losing at least 83,000 hectares of fertile land." Ethiopia is playing down the situation by explaining that the dam will be used to produce electricity, not to draw off water. 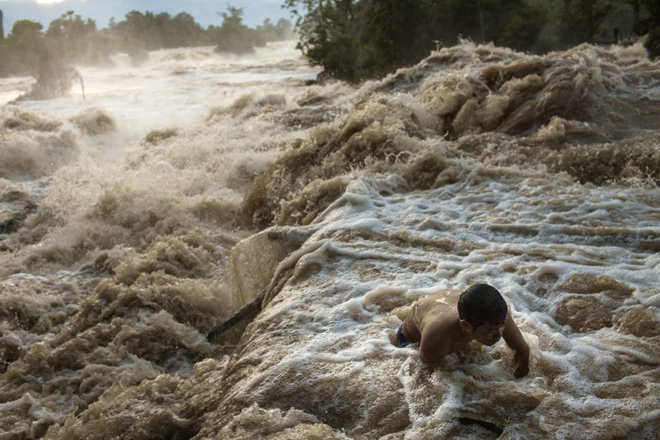 A similar situation is happening along the Mekong River, which crosses six nations, and where thirty-nine dams are planned be built in the next fifteen years, some already at an advanced stage of construction. For months, Vietnam has been carrying out a diplomatic offense to make the other coastal states build the dams in a sustainable way, sharing a common strategy, which should be established by the Mekong River Commission, the body set up to study and manage the inter-national use of the river's water. However, the commission’s president, Pham Tuam Pham, admits that this body has a study and research mission, not a political one. According to Rémy Kinna, a Transboundary Water Law Global Consulting analyst, "to date, Vietnam is the only area state to have ratified the United Nations River Basin Convention, a global legal mechanism to facilitate management of cross-border rivers and lakes in a fair and sustainable manner”... a sign of low interest from other states, Laos and China especially. The Cambodian president Hun Sen, during the recent meeting of 4 April of the Mekong River Commission, tried to "calm the waters", announcing a new phase of more shared and more sustainable river management. But for the moment Vietnam, which fears a reduction in fishing and water volume in the delta, remains skeptical. 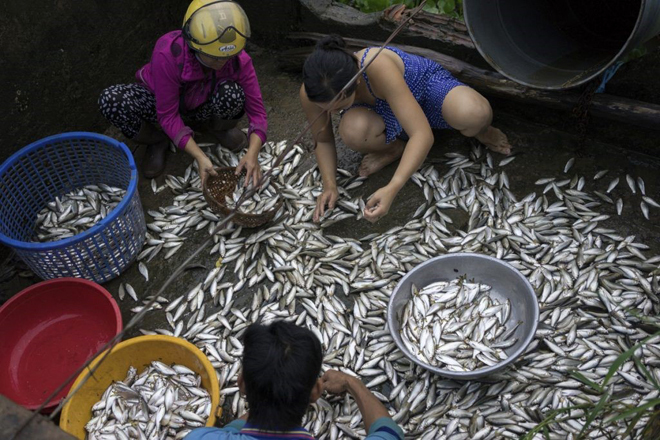 "We need concrete action quickly - declared Vietnamese Prime Minister Nguyen Xuan Phuc - Mekong water resources are worsening in quality and quantity." So, are we faced with a new series of water-related conflicts? 276 transnational lakes and basins in the world are today shared by two or more countries. This affects a total of 150 states, involving half the planet’s surface water, and 60% of its fresh water. In addition, roughly 40% of the world’s population lives near rivers and in drainage basins that belong to two or more countries, with two billion people sharing about 300 cross-border underground aquifer systems. 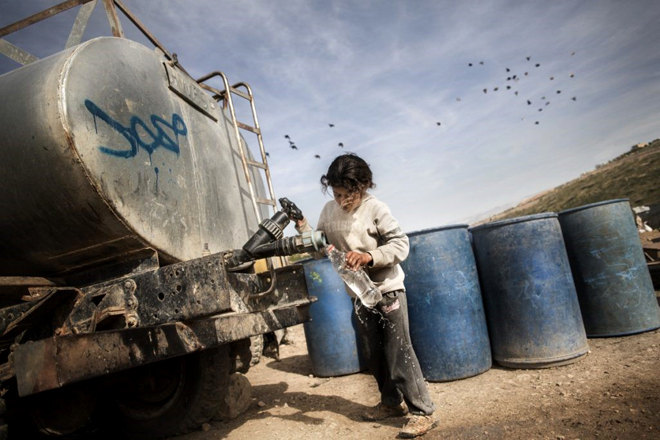 From 1948 up to 2017, the United Nations recorded 37 political incidents that led to open conflicts related to water. In the same period, 295 multilateral international agreements on specific water management issues were signed, ensuring peace and collaboration. Valid tools for diplomatic resource management exist. There are currently two: the UN Water Convention and its Convention on the Law of the Non-Navigational Uses of International Watercourses. The Water Convention has a regulatory structure based on three pillars: the obligation not to damage other countries and to prevent, control and reduce the significance of cross-border problems; the principle of reasonable water use; and the principle of cooperation. To prevent, control and reduce the threat of possible divergences between neighbouring countries, the Convention calls for the use of "all appropriate measures", including the development of shared technology and infrastructures via appropriate bilateral and multilateral treaties between the countries involved. But will this be enough to stop the water-wars of the future and achieve a global blue peace? Amman - The development of Clusters in the Cultural and Creative Industries in the southern Mediterranean (CCI) project, funded by the European Union and the Italian Agency for Development Cooperation in Jordan, Lebanon, Palestine, Egypt, Tunisia, Algeria and Morocco has cultivated the Amman Fashion Cluster in Jordan, the first creative cluster in the textile sector there. The CCI project is being implemented by the United Nations Industrial Development Organisation (UNIDO). 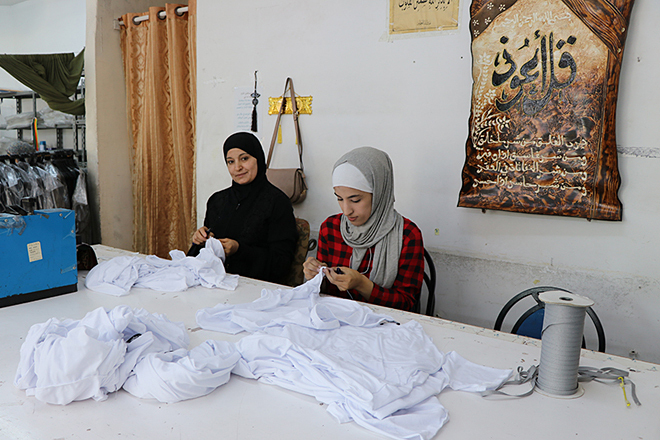 The cluster, launched in 2015 end to support small and medium enterprises (SMEs) in the local market in need of higher productivity, offers companies technical assistance, helping them produce high quality textile products, making use of the unique Jordanian knowhow and in getting access to new markets, both locally and internationally, said Sulafa Mdanat, UNIDO country representative. 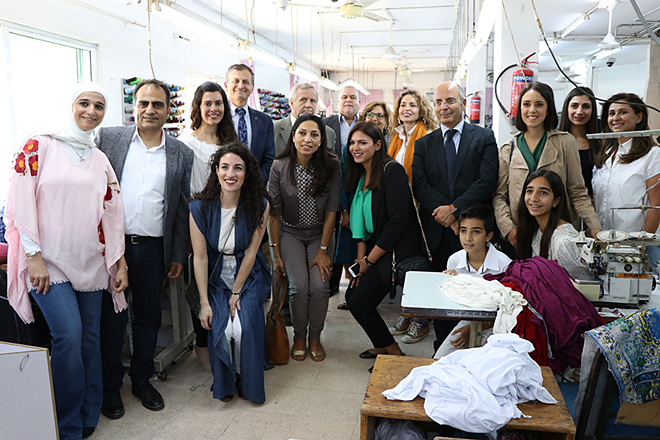 Italian and EU officials recently participated in a field visit to the Garment Design and Training Services Centre and the Noorway Factory in Jordan, according to a report on a Jordanian newspaper. 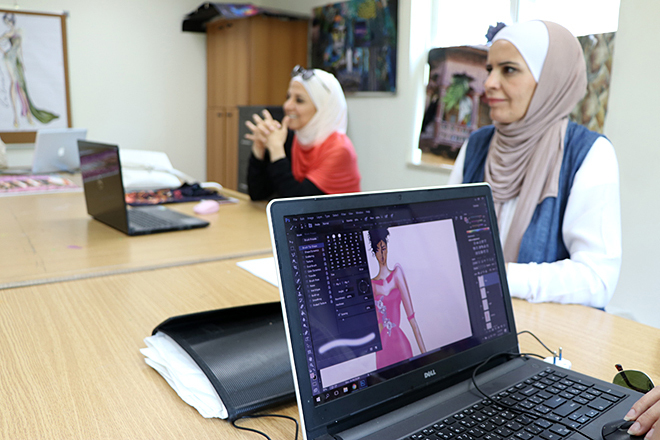 The officials were briefed on ‘JO!’, the first ever industrial-based Jordanian fashion collection launched through the CCI project. Designed by a team of Jordanian women with the guidance of an Italian designer, the collection involves local suppliers fulfilling the whole supply chain requirements, according to Mdanat. JO! by Creative Jordan offers a modern reinterpretation of the bedouin traditional clothing, aimed at reviving the unique “diamond” Jordanian embroidery stitch which gradually disappeared throughout the years. • April 4th was the International Day for Mine Awareness and Assistance in Mine Action, once again marked by the demands of the civil society and the appeal of the Head of State. The Nobel Peace Prize Jody Williams stated to Oltremare: "A world without weapons is possible. Banning landmines, as well as investing in structures and rehabilitation programmes for the hundreds of thousands of people injured in the many conflicts where these armaments have been used, is not just a matter of justice or compensation for the harm done. It also means freeing resources to use in projects that improve the living conditions of people fleeing wars which are all-too-often fought using antipersonnel landmines." The US Nobel Prizewinner widens her perspective and - looking at today’s tragedies, from Syria to the "forgotten" war in Yemen - focuses on the challenge of disarmament: "It is a problem of national laws - she says - but also of the will to apply them on an international scale. It is a matter of political will." A world without weapons of mass destruction is not a utopia, it’s a healthy and realistic principle. This is why it’s important to build a transnational movement that starts with public opinion and ends by influencing decision-making political centres. In the U.S.A., young high school students are now the protagonists of an extraordinary movement asking the Government for more rigid arms sales measures. Many young people challenging the power of the arms lobby, showing extraordinary determination plus a clarity of purpose that does not lend itself to manipulation of any kind." From a speech in Oltremare, by the American Jody Williams, Nobel Peace Prize winner in 1997 for her work for the international anti-mine campaign. This is the rationale that on April 4 backed the13th International Day for Mine Awareness and Assistance in Mine Action, also in support of the United Nations Mine Action campaign. The US Nobel winner raises a crucial issue for today and for a future that is increasingly becoming the present: that of military spending. After 13 consecutive years of growth from 1999 to 2013, followed by several years of stabilised spending - according to the latest report by SIPRI, the Stockholm international peace research institute - in 2017 total military spending worldwide rose to $1.739 billion. A marginal increase of 1.1% in real terms compared to 2016. The United States comes top in the list of countries with the highest military spending: 610 billion dollars... more than a third of the world total. Washington has thus put an end to a period, starting from 2010, of decreasing military spending. China lies in second place, with spending rising for the last 29 years... in 2017 estimated at 228 billion, 5.6% more than in 2016. Saudi Arabia comes next: in 2017 it increased its defence budget by 9.2% compared to 2016, bringing it to 69 billion dollars and triggering an increase in arms expenditure across the Middle East, particularly in Iran (19%) and Iraq (22%). In 2017, military spending accounted for 2.2% of world GDP, or $230 per person. Disturbing data, which opens up nightmare scenarios. We don’t have to dream about a world with no armies, or to always demonise any use of military force. That's not the point: if we believe that the resolution of conflicts should not be entrusted solely to the use of force, and that we must intervene on the causes that feed those conflicts - which may be increasing inequality between the North and South of the world, or absolute poverty or the revival of old and new slaveries - then we must tackle the problem of cutting military spending on a global scale. This also means revitalising the anti-mine campaign, reinforcing it with new content. This is the rationale that on April 4 backed the13th International Day for Mine Awareness and Assistance in Mine Action, also in support of the United Nations Mine Action campaign. 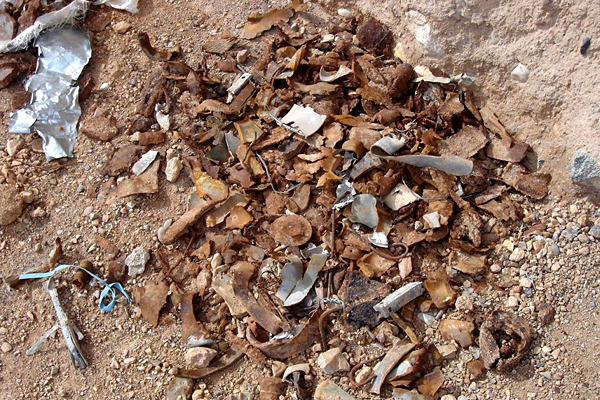 “An unprecedented volume of landmines and unexploded weapons menaces rural areas and urban war zones, mutilating and killing innocent civilians long after the end of the conflict. Roads cleared of explosive devices allow peacekeepers to patrol and protect civilians: when fields are demined and schools and hospitals are protected, normal life can start again. Mine Action is vital. I urge all governments to provide political and financial support to allow anti-mine action to continue, wherever it is needed. 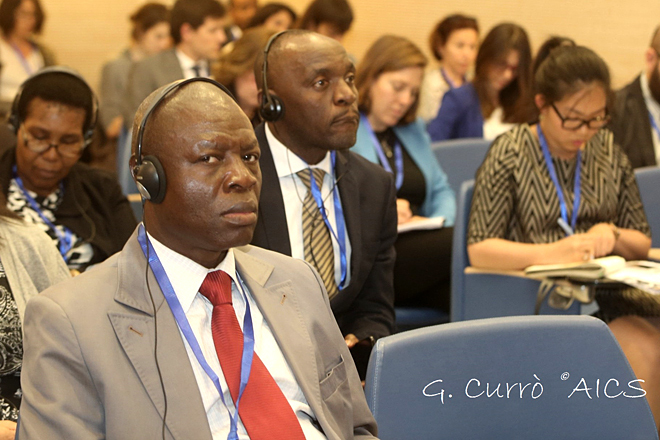 In our turbulent world, Mine Action is a concrete step towards peace." With this video message, the Secretary General of the United Nations António Guterres urged the governments of all countries not to abandon their commitment to Mine Action. "The issue of mines and unexploded ordnance is a problem with humanitarian, emergency and development dimensions - said Giuseppe Schiavello, national director of the Italian Campaign against Mines - Our country has been significantly engaged in this cooperation context for many years, and our civil society is highly sensitive to this theme. Italy has gone from having a sad record as a mine-producing country to acting in the vanguard of those working to alleviate the suffering caused by these devices - Schiavello continued - This is why we ask our legislators to activate tools like the 58/01 fund dedicated to Mine Action, and to urgently approve a law prohibiting financial investments in international companies involved in manufacturing arms now banned by our country. “On this important date, the Italian Campaign against mines and the National Association of Civilian War Victims have asked the Presidents of the Chamber and the Senate, and the Parliamentarians of the 18th Legislature, to immediately work for a rapid and urgent approval, pursuant to Art.136 of the Senate regulations. The bill now numbered S n. 1 - titled "Measures to counteract the financing of companies producing anti-personnel mines, and cluster munitions and submunitions” - in the previous legislature, in the Senate, was numbered DDL S.57 (b). After its final approval (on 3 October 2017), it was returned to Parliament by the President of the Republic (on 27 October 2017), requesting a new resolution complying with Article 74 of the Italian Constitution. This provision, in fact, had already been definitively approved by both branches of Parliament during the previous legislature, but could not come into force due to its incompatibility with Article 7 of the Law of 14 June 2011, n. 95 (the Ratification and execution of the Oslo Convention on the Banning of Cluster Munitions, passed in Dublin on 30 May 2008). This constitutional conflict was then promptly corrected by the Finance and Treasury Commission, which completed its revision of the text but was however unable to proceed to scheduling and discussing the bill, due to the imminent dissolution of Parliament. 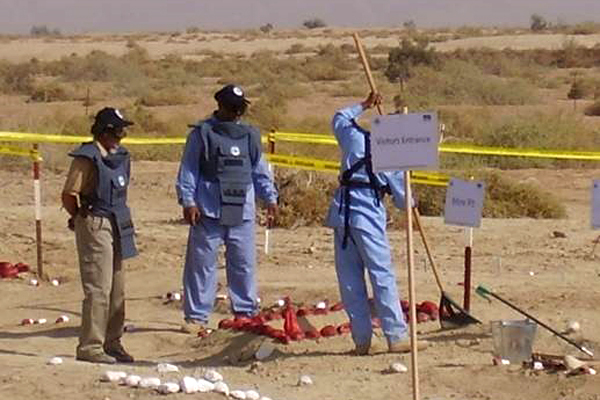 Anti-personnel mines have been banned since 1999, but they continue to explode and kill. 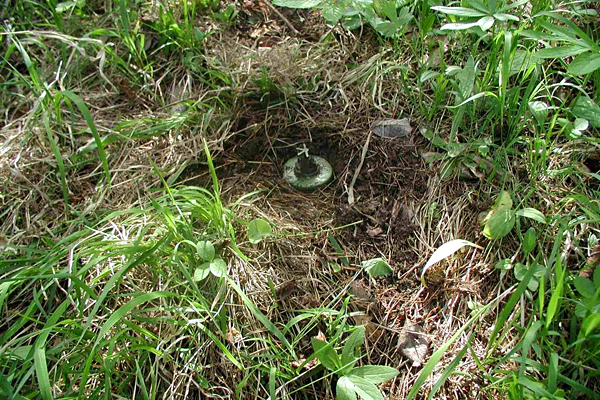 Every year 6,400 people lose their lives because of landmines, 92% of them being civilians: these are often referred to as "collateral victims". According to the "Worldwide investments in cluster munitions, a shared responsibility", a report compiled by the Dutch PAX Association, over the last four years, 31 billion dollars have been invested in companies that produce cluster munitions. Six companies account for the lion’s share, two of which are located in China (China Aerospace Science and Industry, and Norinco), two in South Korea (Hanwha and Poongsan) and two in the United States (Orbital ATK and Textron). There are 88 financial institutions which, in different ways, prohibit investments in this sector, and 166 financial institutions in 14 countries involved in various ways in financing the explosive devices’ supply chain. Italy has said no, by approving the bill titled "Measures to counter the financing of companies manufacturing cluster munitions and submunitions.” This law has a seven-year history: the first proposed law on the subject was presented in the Senate in 2010, with the initial signature of Senator Silvana Amati, while Federica Mogherini - today High Representative of the E.U. for Foreign Affairs and Security policy - submitted a similar proposal to the House. Civil Society had backed this move with an online appeal called NOMONEY4BOMBS, which was backed by ten thousand citizens. Now, the time has come to push urgently to make this law operational. In the meantime, numerous activities have been conducted or launched in Italy to inform students about the danger of unexploded ordnance, and about the international cooperation activities to which Italy has been committed for years, in order to fight the plague of unexploded ordnance and its inhuman effects on civilians. These activities involve diplomatic action plus cooperation and emergency aid, and brochures like the one printed by the Italian Anti-Mine Campaign Non-profit organisation and distributed free to schools, universities, parishes, associations and groups. This is a vital educational contribution, because it concerns young people and because it aims at building a "culture of peace" focused on information about ongoing conflicts, and the responsibility that specific countries have for deliberately feeding them. This kind of sensibility also reigns on the highest hill of Rome, institutionally speaking: the Quirinale, home of Italy’s President. “Thousands of people in the world - civilians, and among them many children, who have already suffered the tribulations of war and extreme poverty - continue to die, or suffer severe injuries, due to anti-personnel mines, cluster bombs and unexploded ordnance", recalled the Head of State, Sergio Mattarella, in his message dedicated to the International Day of 4 April. "The World Day instituted by the United Nations and dedicated to anti-mine action - underlined the President - constitutes an appeal to international public opinion, institutions and expressions of civil societies, to intensify efforts to achieve the goal of concretely erasing these insidious and barbarous weapons, which represent a peak of monstrosity and which the Ottawa and Oslo conventions have rightly banned. Prohibiting anti-personnel mines, and all devices designed to make large areas of territory uninhabitable, represents a vital starting point for ensuring respect for human rights: not only to reduce the number of war victims, but also to prevent the consequences of conflict from continuing to paralyse community life during post-war transition and reconstruction phases. These vile and bestial weapons aim to destroy hope even for those who search for a future for themselves and their loved ones after a war.” "Humanity - concluded Mattarella - must not tolerate this. Our country will continue to give all possible support to international humanitarian organisations involved in demining plans and in clearing areas violated by these deadly devices, to restore them to their inhabitants. A special gratitude goes to those volunteers and associations who, with admirable civil passion, work in war-tormented places to finally reopen the doors to a dignified future. Finally, on this special Day, I repeat my hope that the Italian Parliament may very soon pass a new legislative resolution, consistent with constitutional principles, to effectively cut financial support for companies producing anti-personnel mines and cluster munitions." 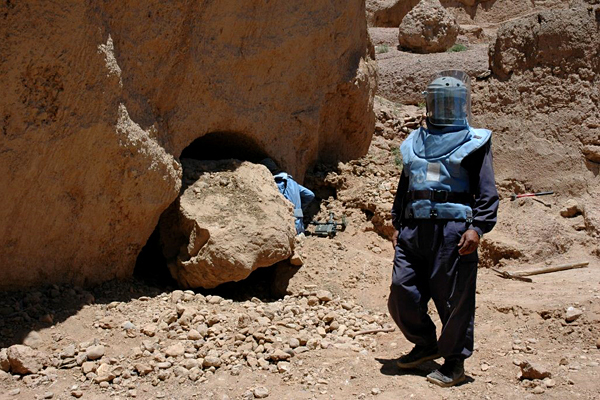 Italy has adopted state-of-the-art legislation, but in this phase of parliamentary deadlock, people continue to be killed worldwide by mines that are Made in Italy. Accelerating the timetable for passing the law means saving lives. It is our duty to remember that fact. And - even more so - to act upon it. The European Development Days, the event organised every year by the European Commission since 2006, provides one of the most important international occasions for the various players in the field of development cooperation to meet and exchange views. All the main operators in the industry, not only in terms of the institutions, meet to discuss new ideas, share best practices, develop partnerships and propose innovative solutions for tackling the most important issues. 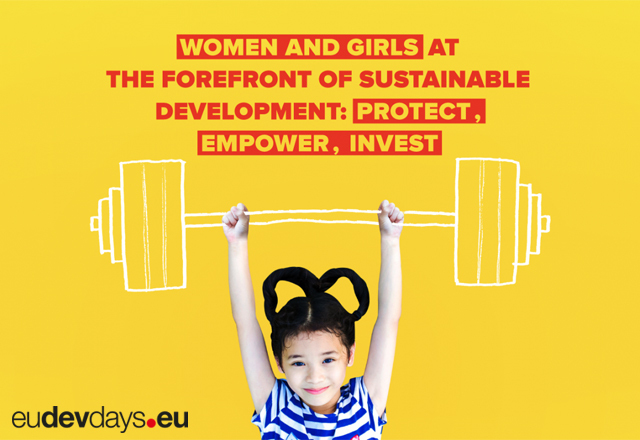 This year, the EDD will be staged in Brussels next 5 and 6 June and will focus on women’s empowerment, a crucial factor for development on every level: Woman and Girls at the Forefront of Sustainable Development: Protect, Empower, Invest. 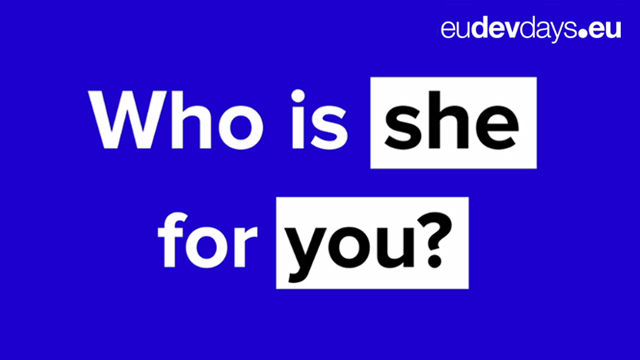 The general programme is available on the page https://www.eudevdays.eu/programme. 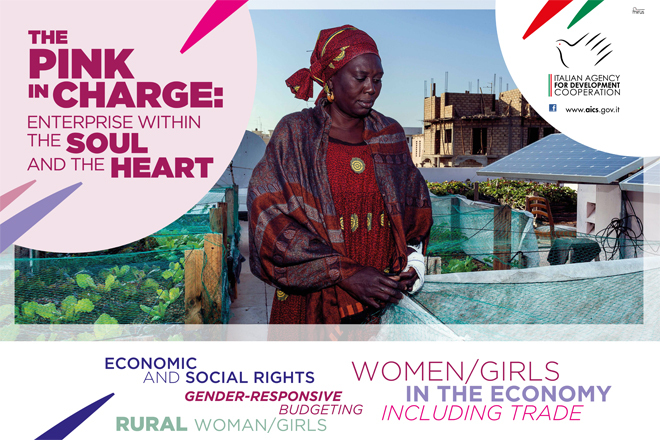 The Agency will participate in the event with a stand named The Pink in Charge, Enterprise Within the Soul and the Heart where visitors can obtain detailed information about the PIDESS programme - Programme Intégré de Développement Économique et Social en Senegal. encouraging and increasing the participation of women in the political decision-making process on both local and national levels. This includes sustaining women’s negotiating power, reinforcing business networks, promoting a gender-sensitive balance and creating two local economic development agencies with the objective of strengthening democratic governance, developing strategic development plans and empowering the native resources as well as promoting innovation, the social economy, gender equality and social inclusion. 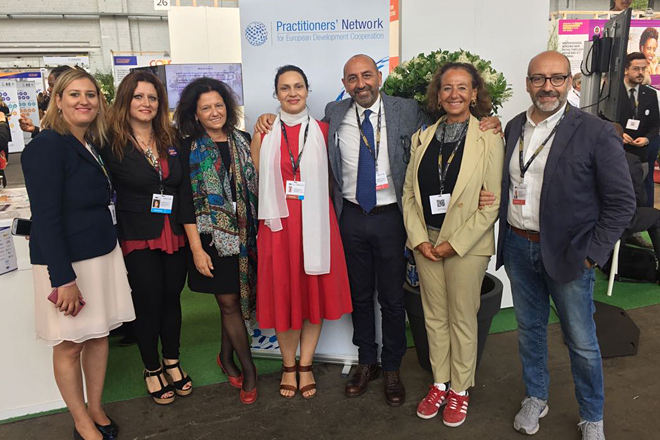 The Agency will also be present at the stand of the Practitioners’ Network, the European network of those involved in cooperation that it joined in 2017. 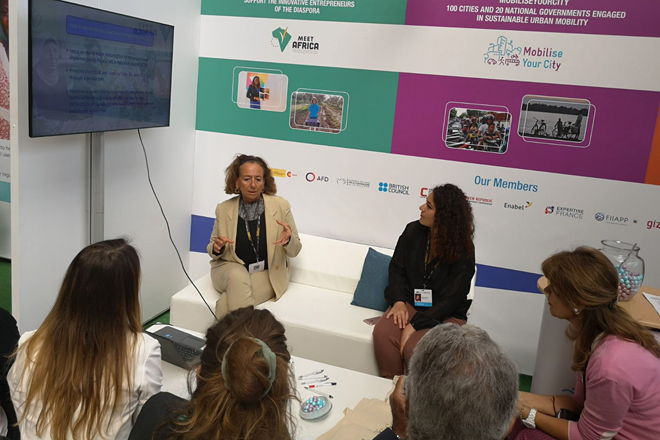 The stand of the PN fits in with the theme of EDD 2018, starting with its title “Joint Implementation: A Benefit for Women and Girls around the World" and proposes three projects that illustrate how the partnerships between the European development agencies, through joint implementation, can improve women’s skills, increase their participation and enhance their roles as leaders in the achievement of the sustainable development goals. Here at stand 26 of the Global Village, on 6 June at 10.30 am, the AICS will present its experience in Palestine as part of the joint schedule of events regarding gender issues. Indeed, the Agency chairs the Gender Technical Working Group for Palestine in the European Union. 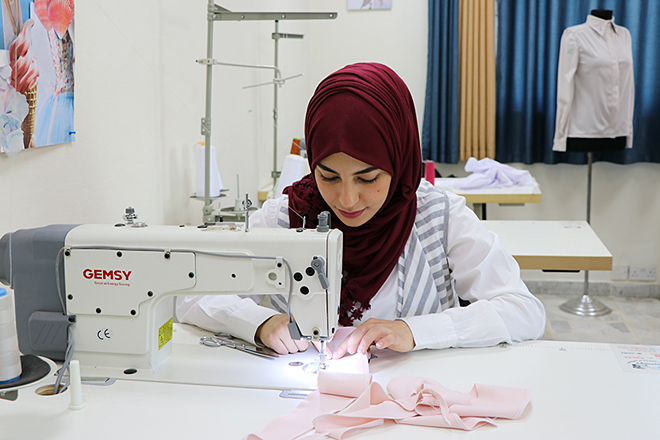 The presentation, entitled "EU technical coordination for a better impact on Gender Equality and Women’s Empowerment in Palestine” will be managed by Cristina Natoli, head of the AICS office in Jerusalem, and Chiara Venier, Focal expert of the office in Rome. 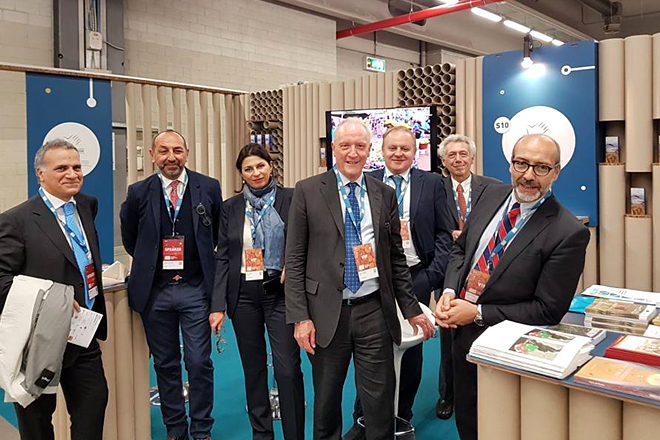 Milan - The Italian Agency for Development Cooperation has always considered the issue of Food Safety and Nutrition an operative priority, not least because of it being one of the most important and transversal goals of the new 2030 Agenda for Sustainable Development. The second of the 17 Sustainable Development Goals (SDG 2) focuses on combating hunger and all forms of malnutrition, and on universally guaranteeing access to healthy and adequate nutrition by 2030. Food insecurity, which currently afflicts 800 million people, is deeply connected with the limited availability and accessibility of food products in both urban and rural areas. This is why long-term global actions are urgently needed, in order to overcome the structural challenges that generate food insecurity and malnutrition. Hence the crucial importance of coordinating and integrating all the efforts of all sector players, both public and private, in the implementation of the SDG2. This goal must be achieved by increasing general awareness of the huge problems involved, and the responsibility that all sector operators have: to work towards a common goal, stimulating productive investments consistent with development targets and with the "Principles for responsible investments in Agriculture and Food Systems"... while also encouraging the adoption of innovative solutions. 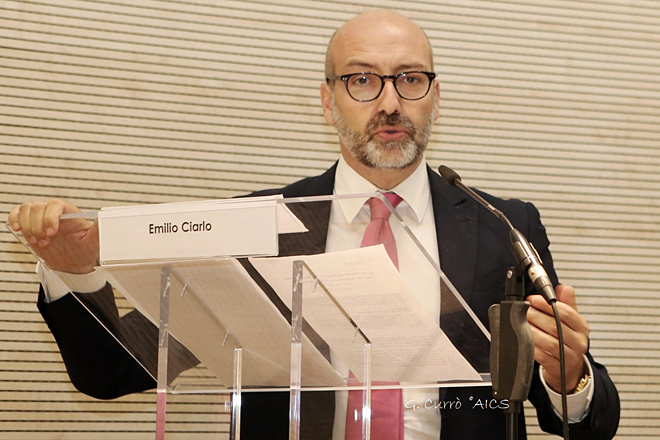 This is why, during the "Seeds and Chips" event, AICS and the Ministry of Foreign Affairs and Cooperation proposed the creation of "2gether", a platform that will aim at integrating different forces, creating partnerships, sharing needs and knowledge, spreading investment opportunities, strengthening Italy’s contribution to achieving SDG #2 and establishing a systematically shared vision. • Insufficient circulation of the information necessary to create better connections and synergies between the different operators and especially between the Italian private sector and developing countries, civil society organisations, donors, national institutions and research bodies, in order to establish a more structured interactive environment. 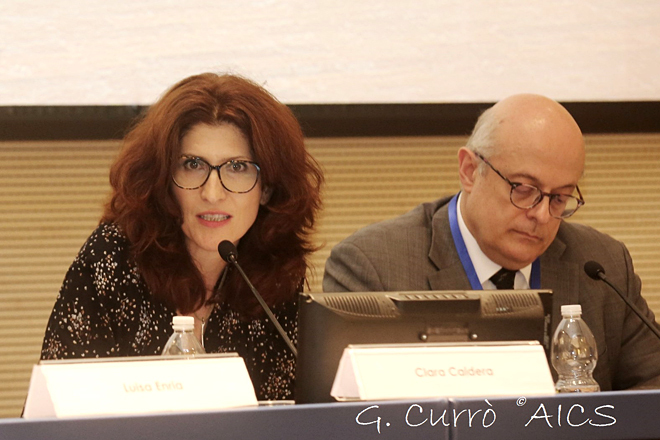 • The absence of an internal AICS instrument for harmonising and guiding the actions of Italy’s national food and nutritional safety System. • To create a systematic framework for Italian operators (university and research bodies, civil society, the profit sector, local bodies) with skills related to food security and the agro-food supply chain, ensuring not only the exchange of information but also the mapping of the potential that these agents can offer to answer the needs of local territories in developing countries, coordinated by AICS. At the same time, to study the precise requirements and/or needs of the stakeholders involved, in coordination with the Italian institutional landscape. • To provide centralised coordination at an AICS level for systematising information and input from territories abroad and transmitted by AICS field offices, particularly concerning the needs of these territories related to improving the efficiency of agricultural systems. • To promote, via the identification of pilot cases, opportunities for partnerships and collaboration between the public sector, the profit sector and civil society. This will aim to develop local contexts or co-develop the local private sector, by jointly identifying and grouping the main production systems, always exploiting Italian skills and know-how. 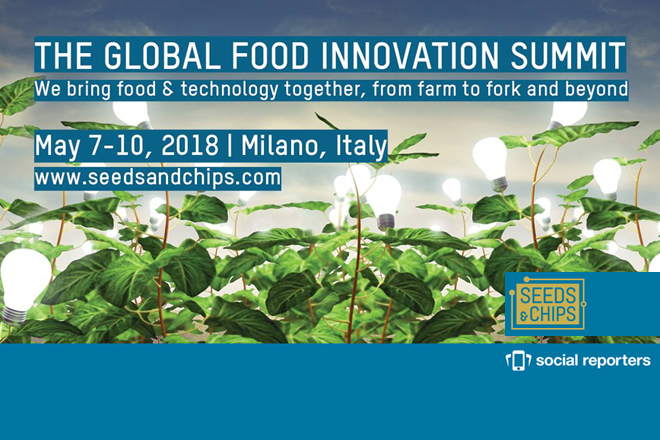 • To facilitate the encounter between supply and demand regarding innovative solutions and sustainable technologies, involving both local and Italian research systems, which can contribute to the resolution of concrete problems involving the pertinent supply systems. In order to support the Platform, an online tool will be set up to enable the collection and exchange of information and strategies among all the operators involved. There are many areas where it is particularly urgent to act upon achieving SDG2: social inclusion and the role of women in the agricultural sector and in food production systems, the definition of an approach centred on the needs of different communities and on national nutritional policies, the boosting of research and development into more sustainable and resilient agriculture, the commitment to increasingly precise and efficient data collection, and the increasing involvement of the private sector and civil society. The platform will be managed by the Agency, which will set up a coordinating structure for the activities of each project and the related Platform, where necessary drawing upon highly qualified and diversified external services, in accordance with current legislation. As emphasized, the platform will bring together actors from the most diverse backgrounds, focusing on the common goal of achieving SDG2, and identifying the priority countries for intervention and cooperation. 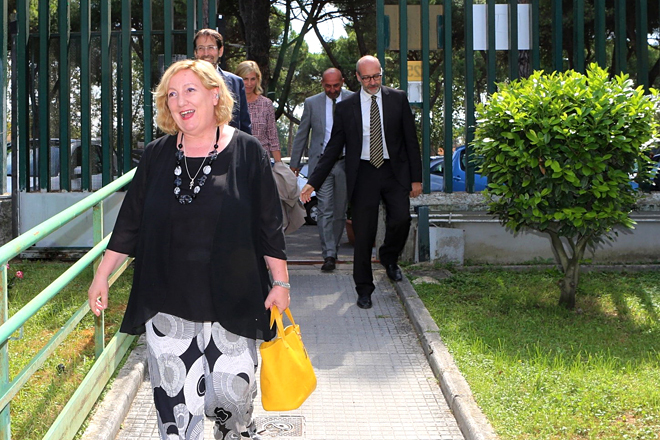 It should be underlined that better coordination and dialogue between the various bodies involved will lead to greater efficiency and effectiveness in the activities of the entire Italian development cooperation system, thanks to the creation of complementarity and synergies.